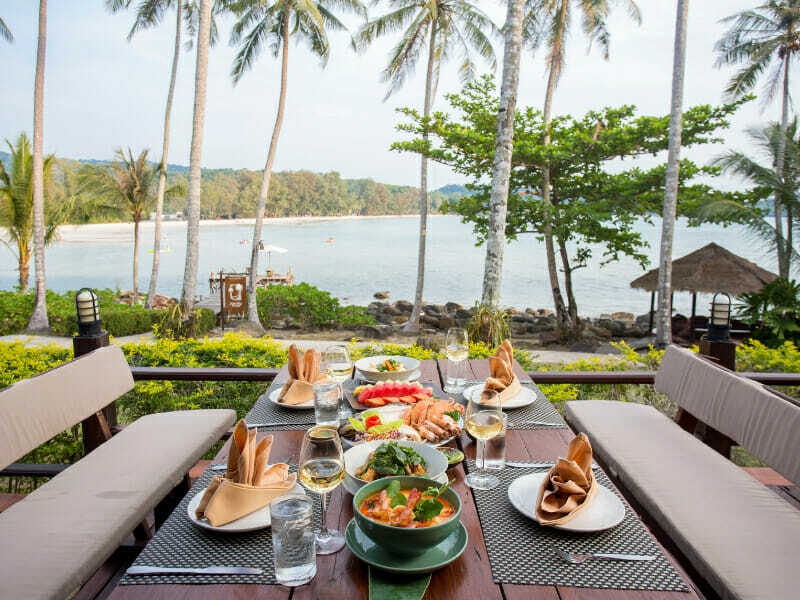 Nestled against a picturesque beachfront on the remote and secluded Thai island of Koh Kood you’ll find Away Koh Kood, a unique boutique resort, catering to visitors seeking a relaxing getaway in-touch with nature. This 5-star resort parades luxury bungalows, all positioned to make the most of this magical spot right on the waterfront. Surrounded by the thick natural jungle that is found all over the island, this dream destination will help you appreciate Thailand’s beauty. 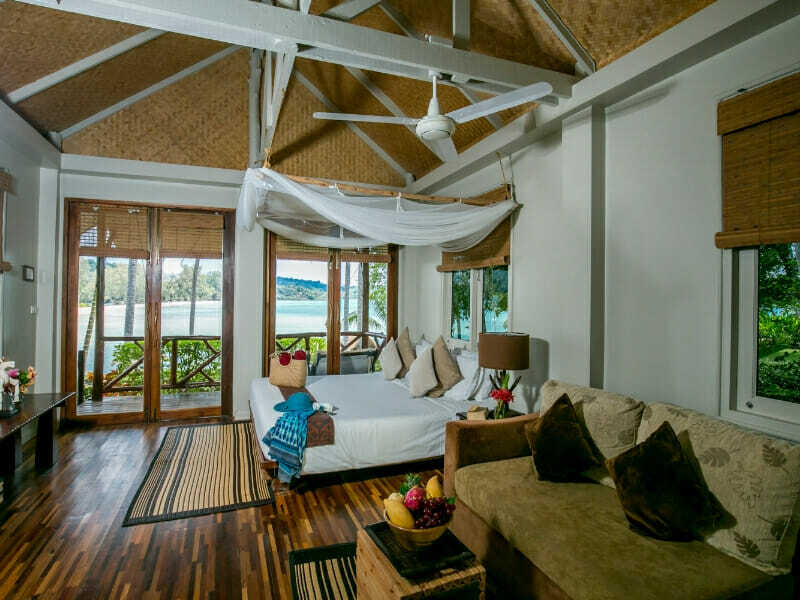 The resort has 30 bungalows, positioned across 3-tiers, starting at the waterfront. The first 2 rows of bungalows have beautiful ocean views and the 3rd row boasts tranquil vistas of the vibrant gardens and jungle. The resort has a large salt-water pool overlooking the ocean, with plenty of shade and sun lounges for relaxing. 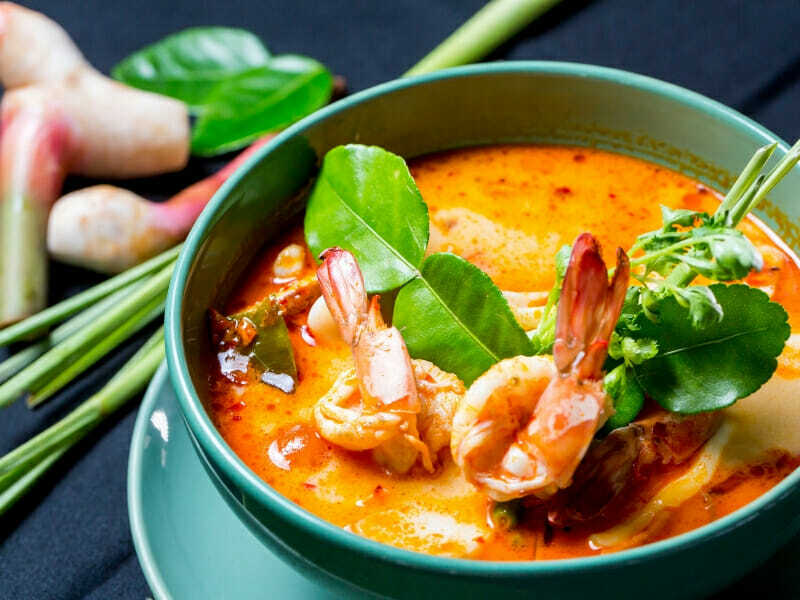 When you’re hungry, head to Escape Restaurant, the resort’s signature restaurant, offering guests delicious dishes from international and Asian cuisines and an outstanding selection of mouth-watering local seafood dishes. The views from the restaurant are sensational and there is a relaxed and laid-back atmosphere that makes for pleasant dining. The Castaway Pub is a waterfront with a fantastic range of specialty cocktails, wines and local beers and also serves some light meals. Try one of the reinvigorating treatment or massages from the day spa. Located in the privacy of the resort’s gardens and overlooking the ocean, this peaceful retreat flaunts the perfect environment to lie-back and be pampered. When you want to explore the area, the resort has kayaks for guests to use free-of-charge. Visit nearby white sandy beaches and find lots of secluded spots to enjoy. 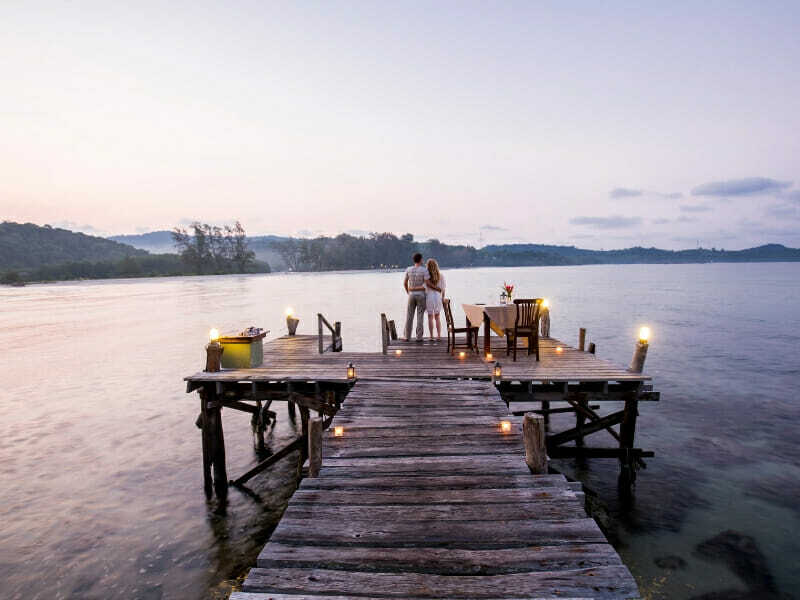 Why Go to Away Koh Kood Resort? 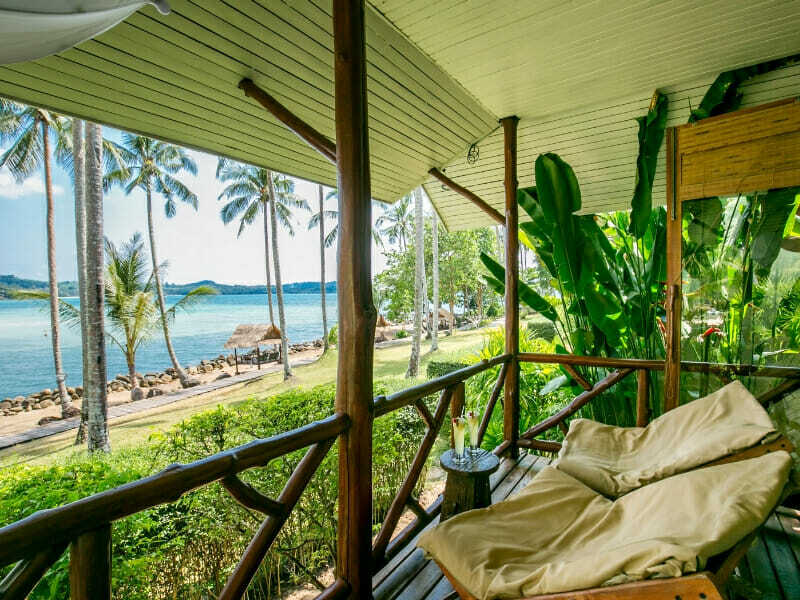 You will love a trip to Away Koh Kood if you’re looking for a destination that hasn’t been swamped by tourists and over-developed. One of the most inviting features of this resort is its secluded position and proximity to a stunning natural landscape that will take your breath away. You will find luxury, 5-star accommodation and friendly staff. 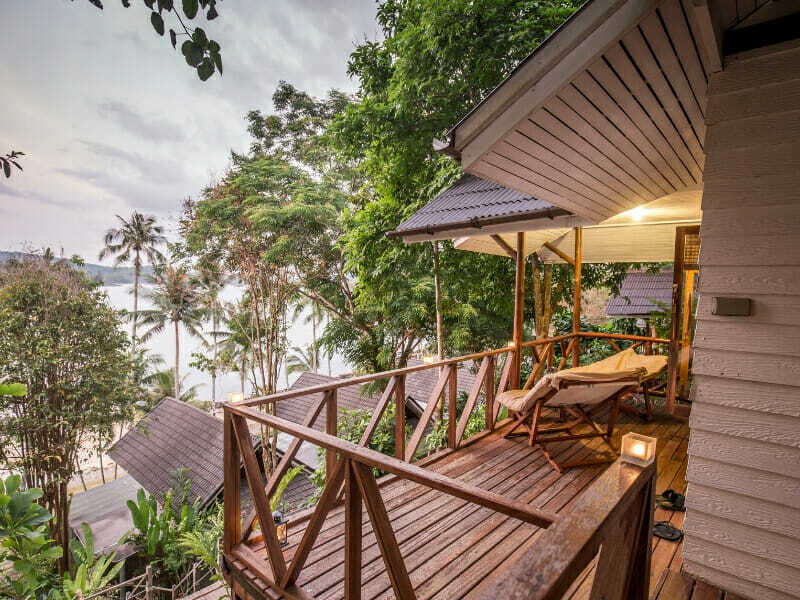 The ocean views from this bungalow are simply breath-taking. When you wake up in the morning you are surrounded by shady palm trees and you can look directly out across the magnificent ocean waters below. These bungalows are set higher to retain the view. 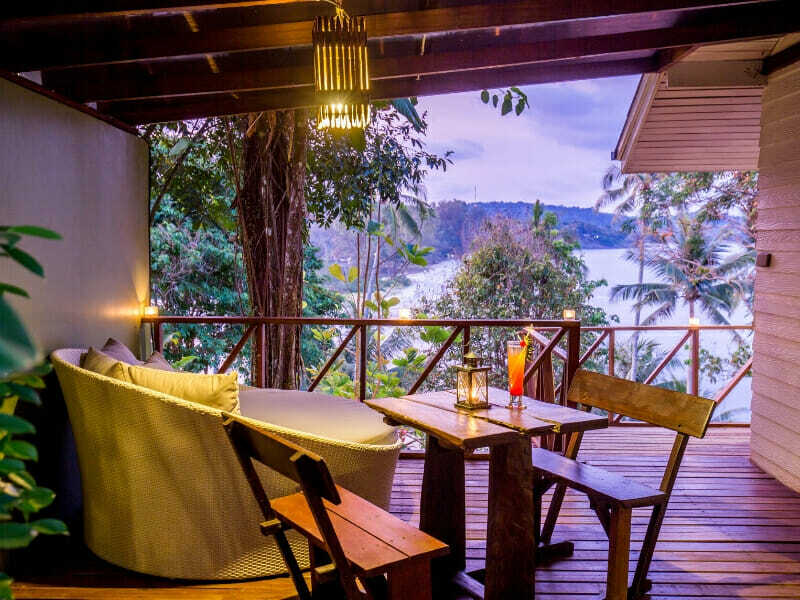 The large private balcony is furnished and is a ideal spot to relax with a cool drink and enjoy the perfect Koh Kood weather. The 40sq. metre bungalow has a Queen-size bed and you can request a child’s crib if necessary, so 2 adults and up to 1 child can comfortably stay here. The bungalow is fully air-conditioned also has ceiling fans, a TV with satellite channels and the facilities to make tea and coffee. 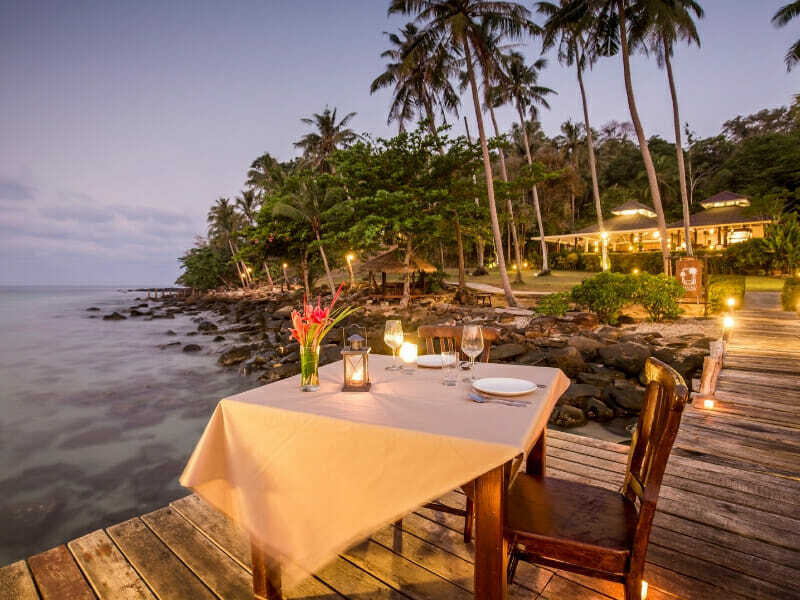 Positioned just metres from the waterfront with uninterrupted views across the calm ocean water, this luxury bungalow is the perfect location to experience everything this charming resort has to offer. At a generous 62sq. 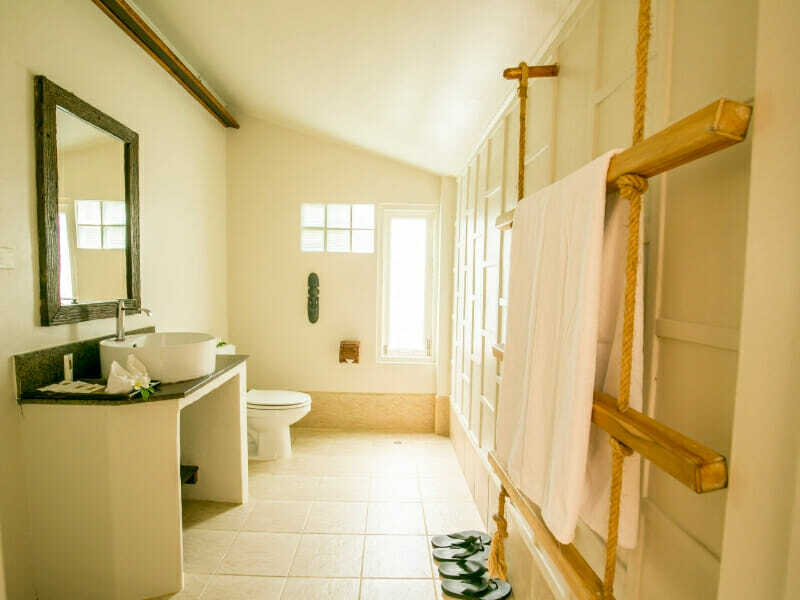 metres in size the bungalow feels spacious and can sleep up to 4 adults and 1 child. There is a separate bedroom with a Queen-size bed and living area with a sofa bed. 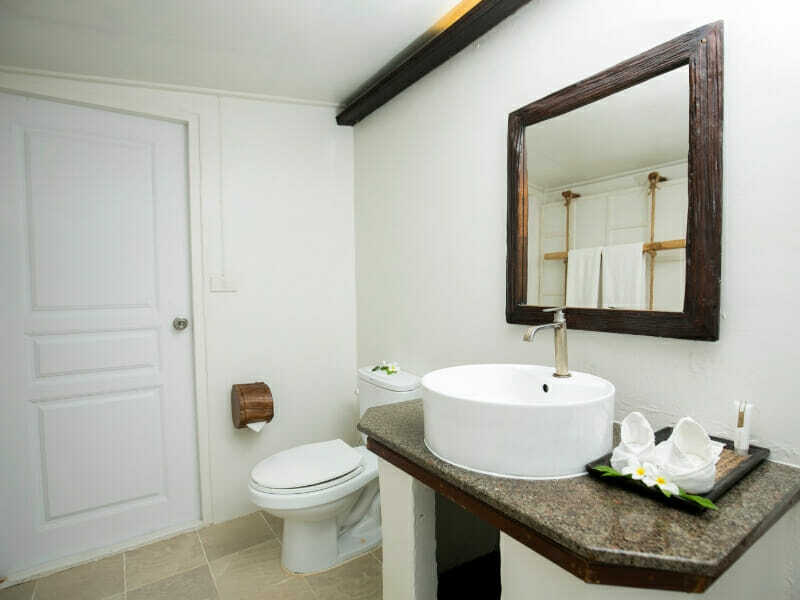 The bathroom has a lovely rain shower and the furnished balcony is a fantastic spot to relax, with the ocean just steps away. The bungalow is fully air-conditioned and for entertainment you have a flat-screen TV. You also have tea and coffee making facilities in the bungalow. 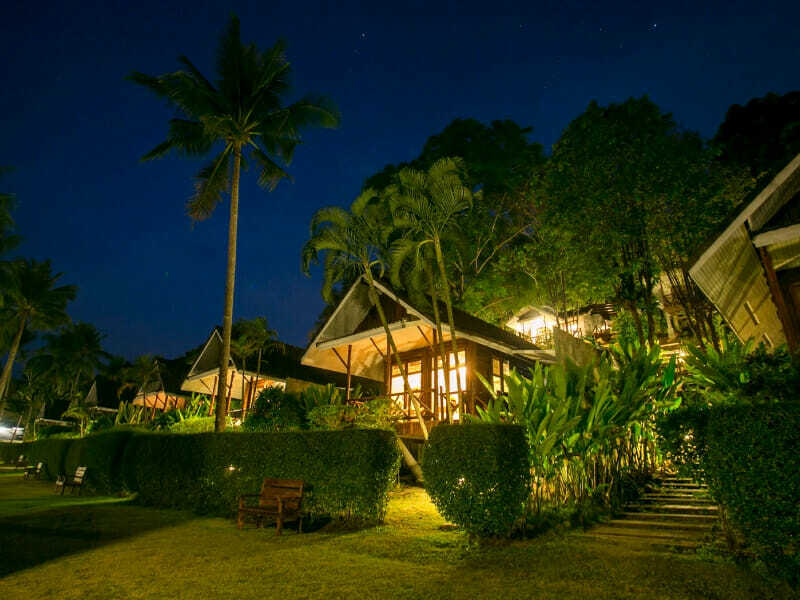 The resort is located near Klong Chao Bay, a popular destination on the western side of the island of Koh Kood. 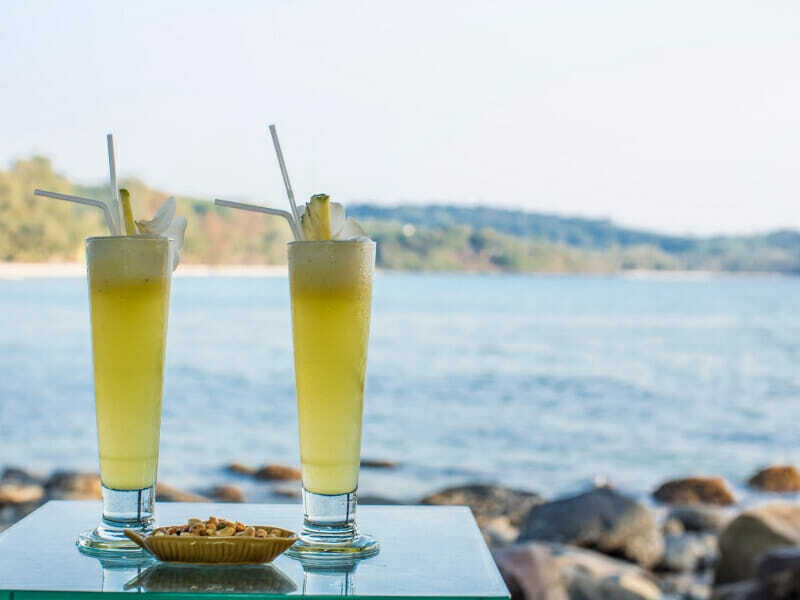 This island is in the Gulf of Thailand, not far from the Cambodian border and is very secluded, being a favourite destination for those wanting to experience untouched natural beauty in an uncrowded environment. Getting here normally involves either a bus trip or a flight from Bangkok to the town of Trat and then a glorious speedboat ride to Koh Kood. While you’re here, your activities will generally revolve around 2 main things: exploring the captivating natural beauty of the island and experiencing the charming culture of the people. You can start by taking the resort’s kayaks out for a paddle and exploring the local area. You’ll love finding hidden beaches that are incredibly beautiful and completely deserted, perfect for relaxing and letting your worries disappear. Klong Chao waterfall isn’t far from the resort and is a lovely quiet spot where you can enjoy the delightful waterfall and have a swim in the crystal-clear ponds. This pristine natural environment is perfect for snorkeling and scuba diving, with the island offering some fantastic dive spots. The Koh Kood Aquatic centre will take you on a diving tour of the island where you can expect to see perfect white sand bottoms, thriving natural reefs and an abundance of marine life. There are 2 main villages on the island and they are worth visiting while you are here. At the northern end is Ao Salad and down on the southeast coast is Ao Yai. Both are fishing villages with some modern conveniences but are still very much existing in a traditional way of life, so you can get an appreciation for local culture. 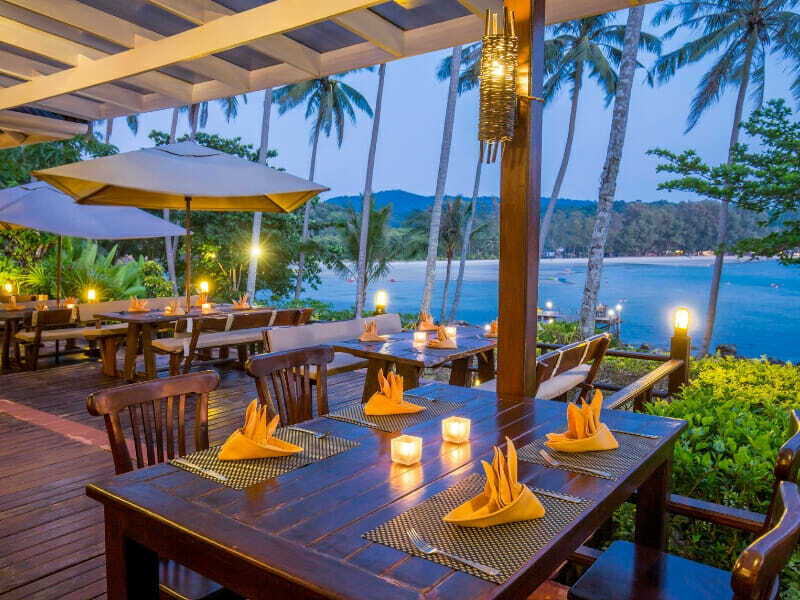 In Ao Yai you will find a couple of restaurants offering delicious seafood dishes.